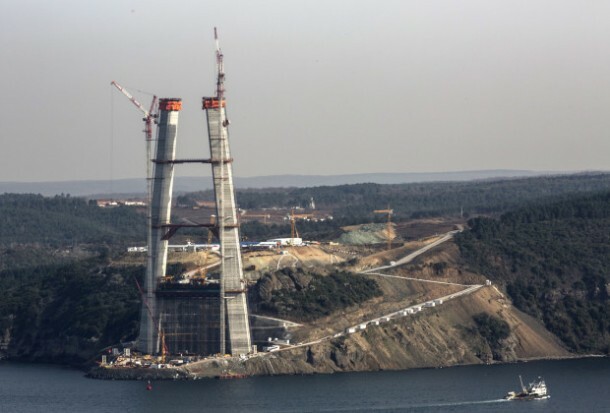 The Yavuz Sultan Selim Bridge aka 3rd Bosphorus Bridge is close to completion and per the Project engineer, Teddy Hwand, “We are building the best and widest suspension bridge in the world.” Once completed the bridge will be known as the world’s widest bridge apart from earning a number of other titles. It is located north of two already existing bridged in Istanbul, Turkey and thus the name of 3rd Bosphorus Bridge. The roadway will traverse the gap between Asia and Europe over the Bosphorus Strait. The bridge has been designed to feature 4 lanes of motorway traffic and also a high speed rail line in each direction. The construction kicked off in May 2013 with a budget of $2.5 billion. The bridge is also going to be the 8th longest suspension bridge in the world with a total length of 2164 meters and shall also enjoy the title of being the longest suspension bridge carrying a railway. The width of the bridge is by far the most impressive feature. The Golden Gate Bridge has a width of 28 meters, for comparison’s sake, while the 3rd Bosphorus Bridge will sport 58.4 meters width once completed. 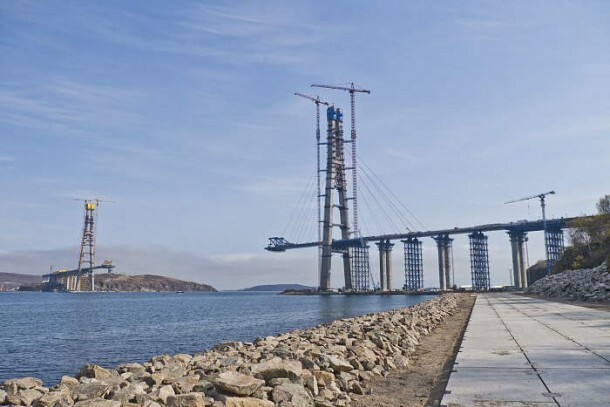 The Marmara Motorway shall be connecting to this bridge, thus extending the roadway’s length to a total of 260 km. The bridge had a completion date of late 2015, however due to some hurdles the completion date was moved to the first half of 2016. You can check out an in-depth video timeline of the construction process below and watch this amazing and wonderfully engineered structure being built. Each of the concrete towers has a height of little over 300 meters with the European side being a bit higher at 322 meters. The bridge is gaining more attraction because of the architecture involved. A lot of people have praised the bridge to be one of the most beautiful bridges of all time. Employees in large numbers from Asia and Europe are working around the clock to complete the construction on time. 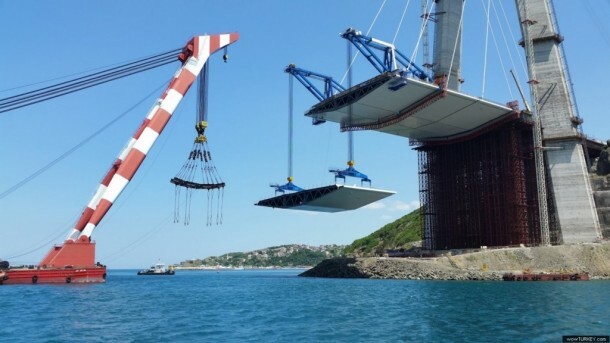 Once completed, the traffic flow on this bridge will help in relieving the congestion of the other two bridges that are crossing the Bosphorus. According to the latest updates from the site, the last of the decking is being placed into position while final works on the main suspension cable are being carried out.